Vegan events are popping up everywhere these days and L.A. has some of the greatest vegan gatherings around. 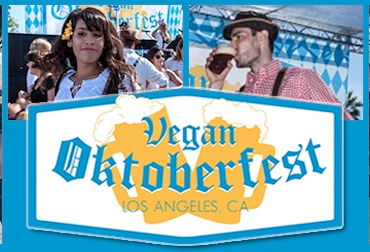 Among them is Vegan Oktoberfest with it’s second annual festival happening this October 3rd and 4th. Last year’s event was so much fun, I was stoked to hear they were bringing it back for a bigger and better round two! I got a chance to chat a bit with the creators Jill and David who are fighting the good fight every day. Check it out below!